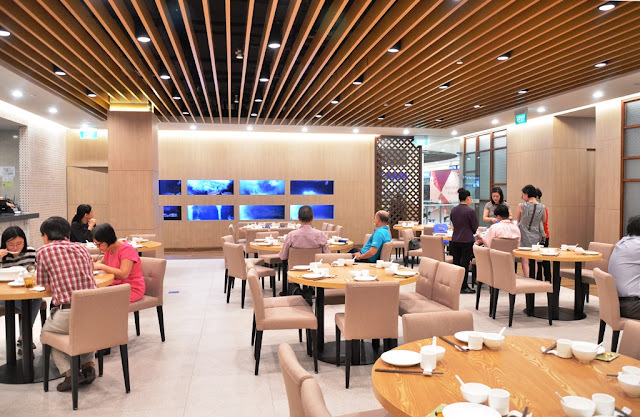 For those who live in the West, Joyden should be a familiar name with two of their restaurants, Joyden Seafood and Joyden Canton Kitchen at West Coast and Hillview respectively. Joyden Treasures is the latest addition to the group and the first in the East at Leisure Park Kallang. With the owners placing great emphasis on R&D including cooking methods and reliving old recipes, the chefs dedicated much of their time refining the execution to perfection. Impressed on both occasions during the other two visits, can third time spark greater surprises? 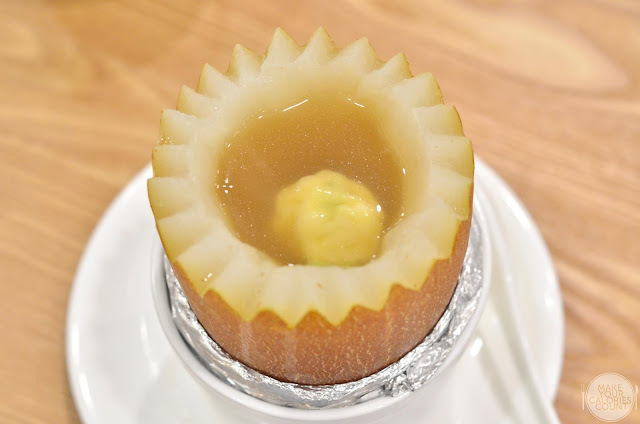 The wholesome homemade broth of mushrooms, dried scallops and fish maw is encased in the hollow of a softened old cucumber and double-boiled to fully extract the flavours. While we enjoyed the depth in flavours of the broth which reminded me of mum's cooking, the pork wanton was quite a let down as it was too starchy for my liking. This would make a popular snack to go along with some nice beer! 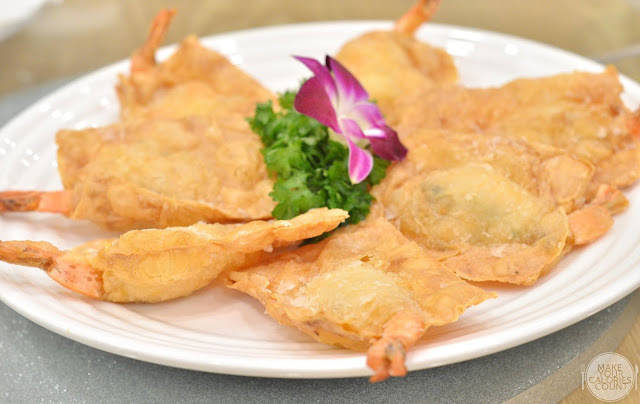 A blend of chopped fresh red prawns, salted eggs, century eggs and cilantro is stuffed between thin sheets of beancurd skin before being deep-fried to golden-brown delicious. 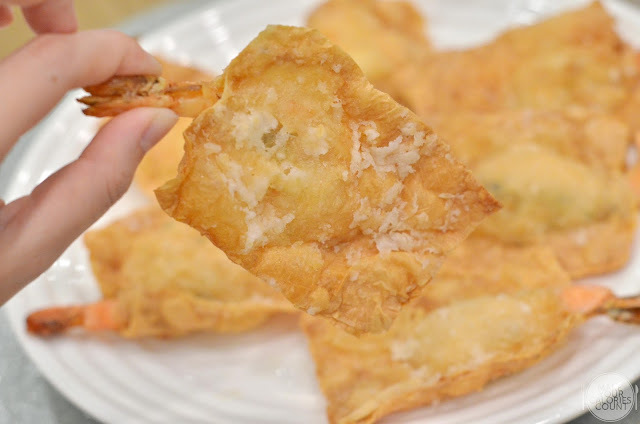 We loved the light and crispy exterior that juxtaposed the crunchy prawn on the inside. Dip it with the tangy sweet chilli sauce and it can be quite an addiction! With a soya milk broth that was made from scratch, it was beautifully flavoured with fresh ginger, chives, straw mushrooms and black fungus. 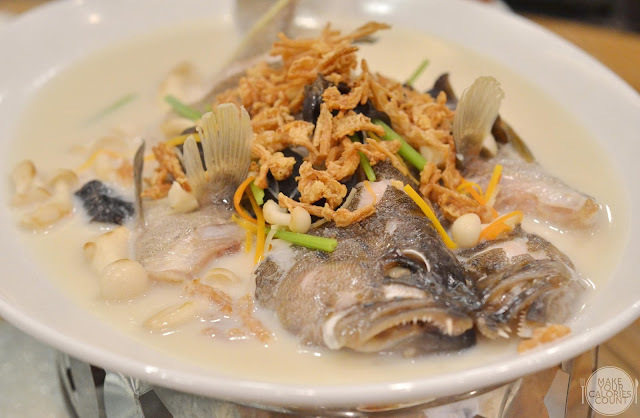 Steaming the fish in the rich broth creates a silky smooth texture to the flesh which was contrasted by the crunch from the golden fried enoki mushrooms sprinkled on top. Definitely the dish to turn to for a hearty meal on a rainy day! 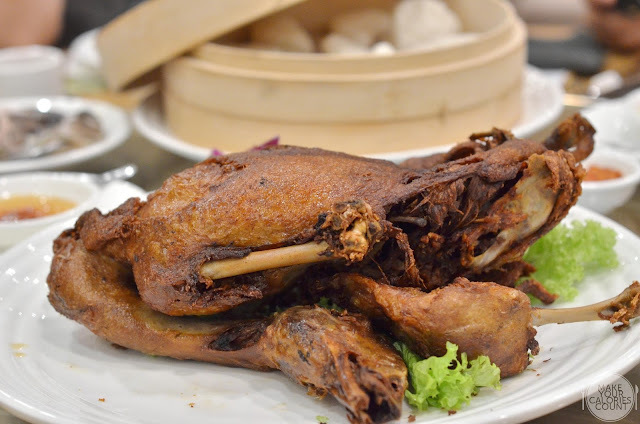 One of the family's favourites, the crispy fragrant duck was treated with utmost care as it was gently simmered with fragrant herbs and spices to empower fully bodied flavours before being deep-fried quickly to crisp the skin. 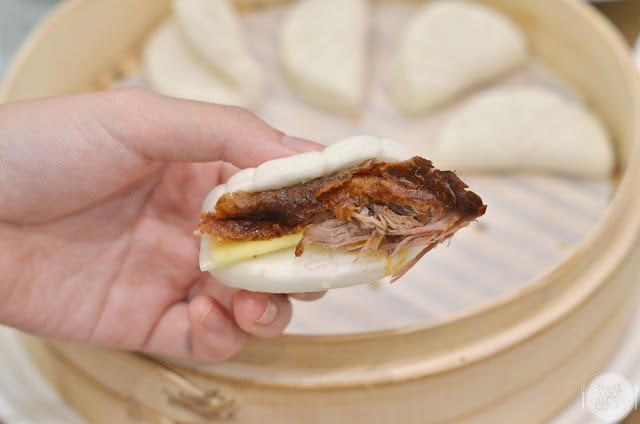 Sandwich it between the homemade steamed lotus-shaped buns, do add the sliced pickled papaya and fresh cucumber alongside the sambal and orange sauce dip to complete a calories-worthy bite. The sweetness from the orange sauce was beautifully complemented by the light hint of heat from the sambal that made each mouthful extremely satiable. This reminded me fondly of my mum's cooking as this was one of her star dishes that would make me cancel my dinner plans to head home for a homecooked meal. 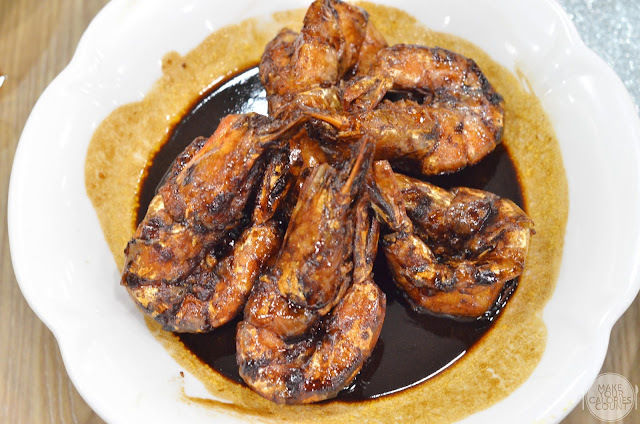 The sesame oil-based dark sauce dressed each of the jumbo prawns equally and they are deep-fried for a succulent yet crispy bite. Before you forget, please order a bowl of rice as you would not want to miss out on that lovely gravy. One of the signature dishes at the restaurant, the Sri Lankan crab is first baked for about 30 minutes at a low temperature before all the salt that coats the crab gets removed. Comprising a blend of various salts and spices, it was first wok-fried before covering the crab in it. 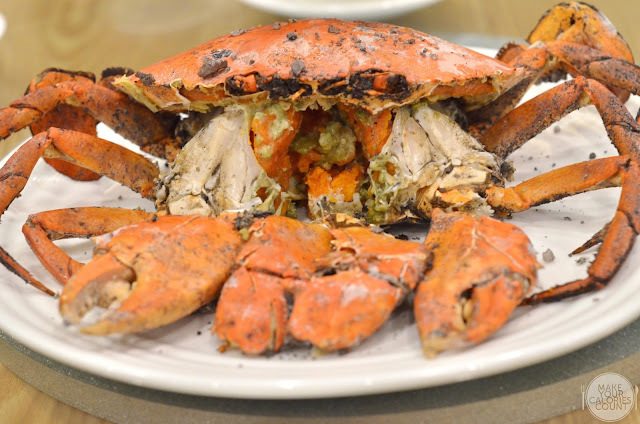 The natural sweetness of the crab is enhanced as the moist flesh on the inside is balanced by the salinity of the spices and salt. For roe lovers, expect to rejoice as you will have more than enough to share! Personally, I am more of a chilli crab or black pepper crab person so while this technique did the crab justice, I have my preference with the more conventional techniques. Available in various sizes including individual portions, the traditional yam puree is a must-try for any Teochews or yam lovers. 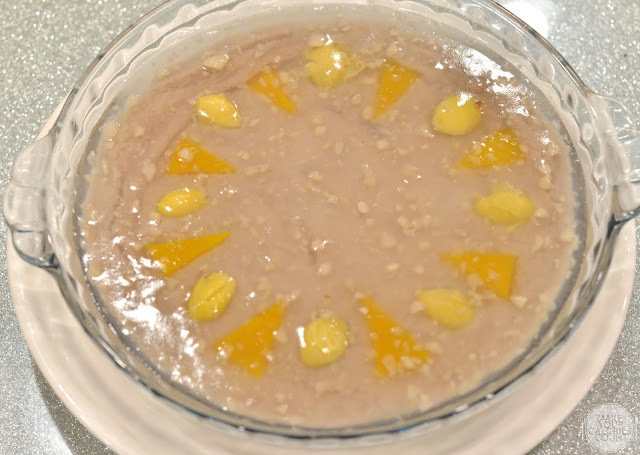 Rich in flavours and not overly sweet, you can be sure that it will not satiate one's appetite even after the second bowl! A huge fan when it comes to malagao or steamed cake, I found this version good but not the best. 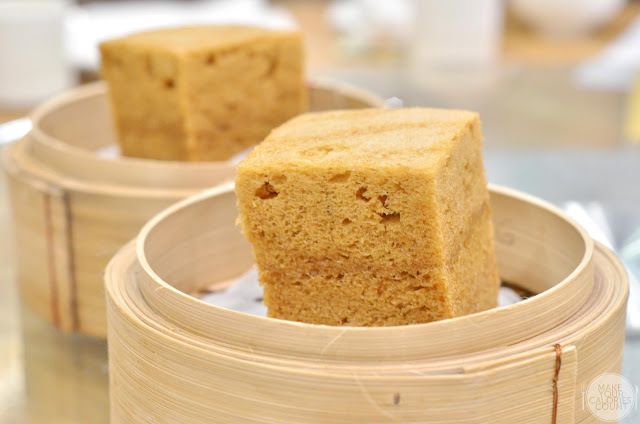 Personally, the brown sugar steamed cake at Tim Ho Wan is still my personal favourite. While this version was light, it was a touch too dense for my liking though the fragrance was enough to make me enjoy the delicacy as a whole. 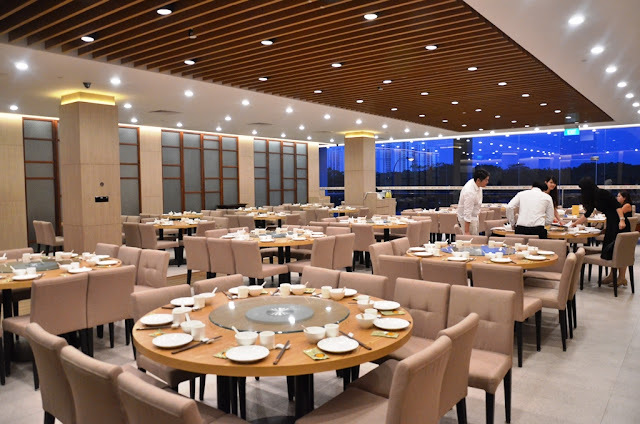 Specialising in family style dining, it is no surprise that the restaurant offers a communal dining area. 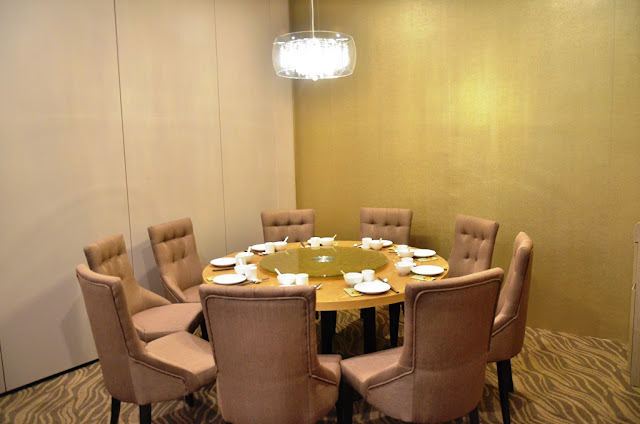 There are also some private dining rooms available should customers wish to carry out events at a more intimate level among family and close friends. Despite the restaurant being just a month old, the staffs were well-trained and definitely one of the best in customer service. Greeting guests in the most polite fashion possible, it is truly a case of 敬业乐业 where you could feel the sincerity with each kind gesture, be it refilling your tea cup or simply requesting to change your plates. We were even offered extra chairs on the side for us to put our belongings. In an industry where most restaurants face the challenge of manpower crunch, it is a blessing indeed. In terms of food, most dishes were above average and it reminisced strongly of home-cooked dishes, executed in a restaurant environment. Most dishes worked out well for me and with a decent price point, would definitely be a place to revisit if I am in the area next with my family.